This LED third brake light is 2" tall and 7" wide. There is one wire coming through the base for power. A ground wire would be attached to the bottom of the mounting bolts at the base. Wire this third brake light in conjunction with tail lights. 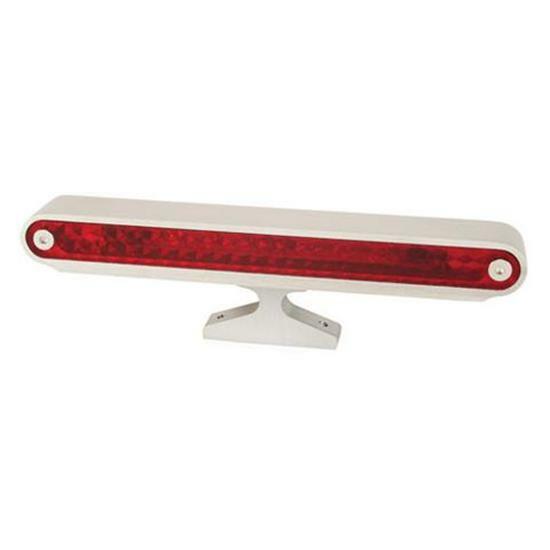 This LED third brake light is billet aluminum with a red lens. While 7" wide, LED bulbs only light the center portion of the tail light, as pictured.